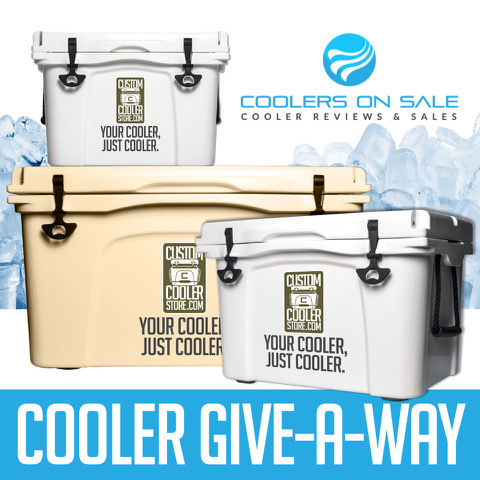 We will be giving away THREE Custom Coolers (one cooler to three different winners). This is the first time we are giving away a customized cooler. The three coolers will come in different sizes; one of each 37qt, 69qt & 90qt. Enter your name (First & Last) and a VALID email address below to enter to win. It's really that simple. A Huge thanks to CustomCoolerStore for helping us make this possible.